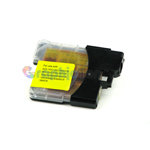 Brother Toner Cartridges - Graphic Toners offers Brother toner cartridges and TN350 toner. Graphic Toners is your number one online source for a Brother toner cartridge. Regardless of what model Brother printer you have, there’s a very good chance that we have a Brother toner cartridge in stock for you. As a result of our vast experience providing customers with office and printer supplies, we have more expertise than anyone when it comes to providing you with a new Brother toner cartridge, Brother laser toner, or Brother laser cartridge. In fact, because we’ve been in the business of providing our valued customers with new Brother printer cartridges for over fifteen years, we know better than our competition how to provide you with exactly what it is you need to get your printer up and running again. Don’t make the mistake of trusting a competitor with their hastily refilled Brother toner cartridges with your work report or term paper, and instead, make sure you’re getting quality with Graphic Toners. At Graphic Toners, we make sure to keep an eye out on our manufacturing line, so that your Brother laser toner or Brother laser cartridge meets the immensely high quality we expect of all our products. Because of our specialized processed, which has been refined over the course of the history our company, we’re able to produce a Brother toner cartridge that matches the same high caliber that’s produced by the OEM manufacturers. This means that, when our Brother laser cartridge or Brother printer cartridge arrives to you, worrying about whether or not they’re able to produce high quality prints should be the least of your concerns. 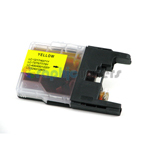 In fact, not only do our Brother toner cartridges allow for flawless results. As with all our other toners, we run every Brother toner cartridge through a battery of tests and don’t allow a single one to leave our building unless they meet the standards we expect them to. Because we’re so confident in our testing process, we can confidently offer you a 100% satisfaction guarantee on every Brother toner cartridge you purchase from Graphic Toners. Although we know we’d be able to cut costs on our end by simply offering you the final product without ensuring their quality, the way some of our competitors do, we feel it’s worth whatever extra it costs us to help guarantee that you’re satisfied with our product. Our experience in producing Brother toner cartridge and Brother laser toner supplies has allowed us to develop our unique method of refurbishing them for use while maintaining a high quality product. 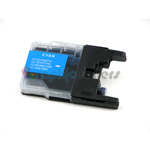 We begin by fully taking apart our Brother toner cartridges and removing any remnants of old toner from within it. 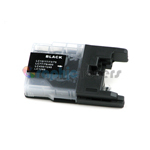 Doing so ensures that the old, dried bits that may be stuck there don’t impede the flow of the new toner replacing it. 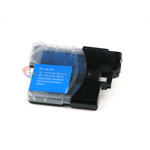 Then, once it’s cleaned, we replace any broken or worn parts from within the Brother toner cartridge. After, we refill your Brother laser toner and replace the wiper blades and rollers to ensure that your prints come out smooth. And finally, a new drum is installed and the cartridge reassembled for packing, and sent to you at the comfort of your home. 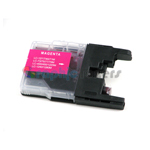 One of the primary benefits to you about every Brother toner cartridge we produce is their exceedingly low cost. In spite of the fact that the quality of their prints are every bit as good as OEM Brother laser toner, their prices are significantly lower, at times up to 80% cheaper. We’re confident enough in the Brother laser cartridge we produce to offer you a full one year warranty, longer than the time it takes most people to fully use a Brother toner cartridge. And finally, the best part of every Brother toner cartridge we sell is the fact that, because they’re remanufactured using old toner cartridges, they’re greener than purchasing new OEM cartridges or most Brother printer toner from our competition. Our process of reusing old, quality cartridges means that much less non-biodegradable plastic is making its way to our already overflowing landfills, and instead, are being put to better use helping you make quality prints with long life spans. Using Brother toner cartridges from Graphic Toners is not just an investment in your prints, but also an investment in the lasting life of the environment. 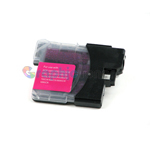 Graphic Toners has all the best Brother laser cartridge supplies for your printer. When you’re in need, don’t forget to swing by our store and help get your printer doing what it does best again.